During a landing to load off [three] personnel, an external load was attached to the helicopter by longline without the commander being aware of it. At lift off, the long line tightened, and the commander experienced a jerk in the helicopter that made him decide to make an emergency landing in terrain with birch trees. The rotor blades and the landing gear sustained damage. The pilot, the sole occupant, was uninjured. It emerged during the investigation that it was given an unclear message from the [construction company] principal who gave room for the commander and task specialist to have different understanding of the task to be performed. The commander had the notion that it should be transport of [all] personnel from a mast point along the power line [as he had just move three of the five personnel from that site]. [The] task specialist, who believed that stringing of pilot lines was the next task [and that only the key personnel needed to be moved], attached longline to the load hook. This caused the helicopter to take off in such a way that [4 seconds into the flight] there was a strong pull due to the weight that hung in longline when it was tightened. The report [only available in Norwegian] focuses on cooperation and communication between the commander and task specialist, and the equipment used for communication. AMC 1 SPO.SPEC.HESLO.100 Standard operating procedures, Party C Equipment (4) Adequate radio communication equipment (eg VHF, UHF, VHF) should be installed and serviceable in the helicopter for co-ordination with the task specialists Involved in the operation. (5) Task specialists Involved in the operation should be equipped with hand-held communication equipment, protective helmets with integrated earphones and microphones. In this case the task specialist / loadmaster did not use his more basic hand-held VHF radio because of the noise. The helicopter was fitted with mirrors that would have given the pilot a view of the belly hook but as the pilot was not expecting a load to be added, the action of the task specialist went unnoticed. 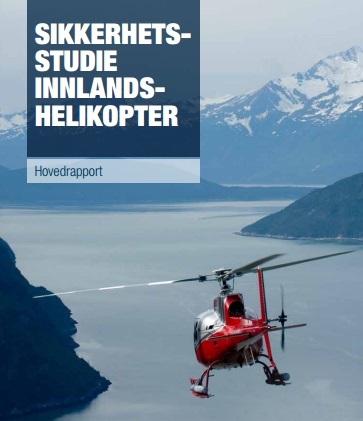 The reason for this study was a concern for the development of aviation safety in this part of the Norwegian helicopter operations. In particular the accident rate for aerial work and passenger flights [is] unsettling. Recommendation T04 Training between pilot and load master. “This measure will help strengthen crew members total skill level with regard to counteract operational errors”. Recommendation T22 Personal equipment for pilots and loadmasters. “The measure is expected to increase crew members safety. In addition, measure contribute to signal opposite crew members that safety is a priority in company”. The AIBN note that that study also showed a perception that passenger flights were much lower risk than other aerial work tasks and postulate that perception may have contributed to a lower level of attention when expecting a passenger flight compared to the aerial work tasks that were subject to the completion of a specific Job Analysis and Risk Assessment Form. The AIBN note the communication failure between load master and commander when a change in plan occurred. Responsibility for a common understanding of what should be carried out on a mission rests with the helicopter company working personnel. One must inform each other’s intentions and changes, and confirm that the information is received. No safety recommendations are made by the AIBN in connection with this investigation. 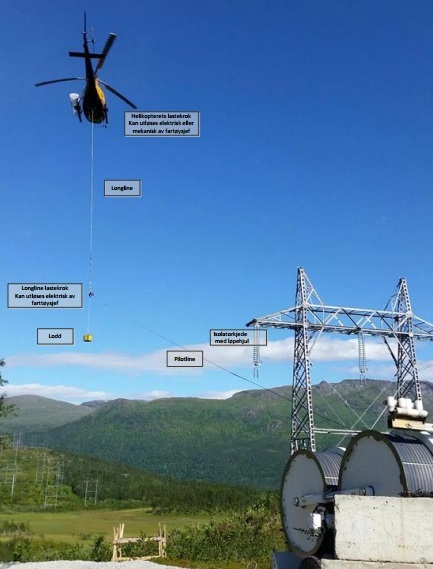 UPDATE 5 February 2017: Our new article Fatal Low Altitude Hover Power Loss: Power Line Maintenance Project looks at how an engine compressor failure while installing power line markers resulted in an unsurvivable impact and fire. 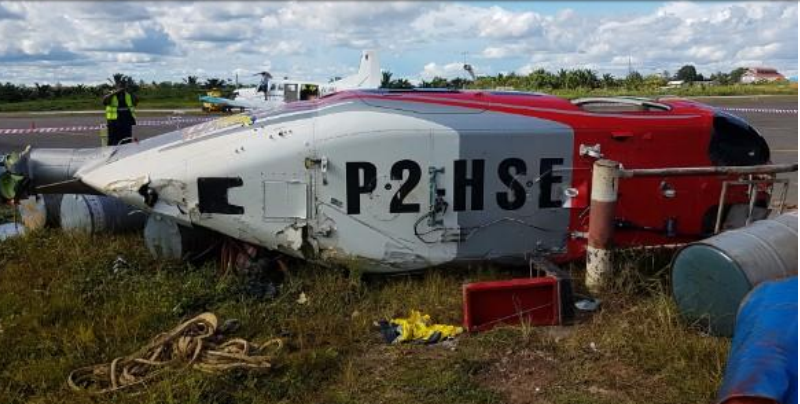 UPDATE 10 November 2017: Just 11 days after we wrote this article a Bell 407 in Papua New Guinea, P2-HSE of Niugini Helicopters suffered a very similar fate according to an investigation report published by the PNG AIC. translational-lift takeoff, to the south-south west, across the aerodrome apron, and over the terminal buildings. The flight was a VFR charter operation carrying two passengers to a Digicel [mobile phone] tower site, 20 nm south of Kiunga Aerodrome. 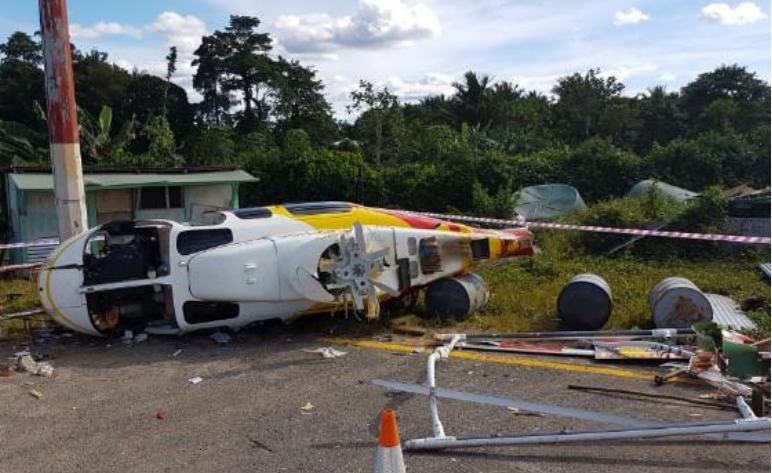 He said that he was unaware that the longline that he and the passengers had prepared for the next flight to the same location, was attached to the helicopter prior to lift-off. During the take off and forward flight, the sling played out to its full length and became taut when the shackle snagged on the step, abruptly arresting the forward movement of the helicopter, and dragging it down onto its left side in uncontrolled flight. The step subsequently fractured as a result of the applied load. As the helicopter was dragged down, recovery from the uncontrolled flight was not possible from such a low height. 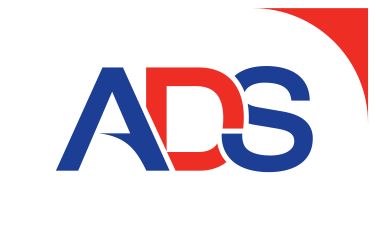 Aerossurance is pleased to sponsor the 2017 European Society of Air Safety Investigators (ESASI) 8th Regional Seminar in Ljubljana, Slovenia on 19 and 20 April 2017. Registration is just €100 per delegate. To register for the seminar please follow this link. ESASI is the European chapter of the International Society of Air Safety Investigators (ISASI).